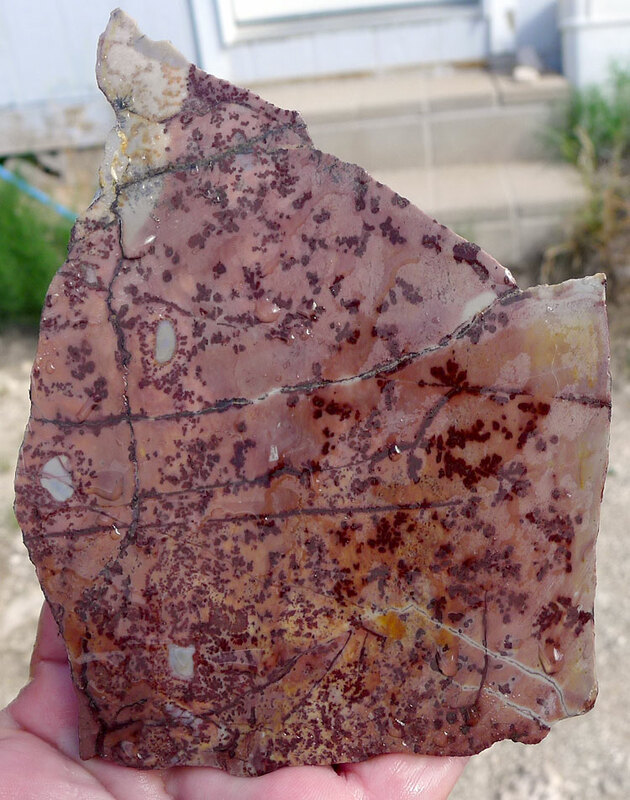 Pink Plume Jasper Slab for Lapidary Artists, Cabochon Makers or Natural Stone Slice Collectors - Cut from Natural Pink Plume Jasper stone from China, it's natural dendrites, color and unique designs will make some beautiful cabochons. 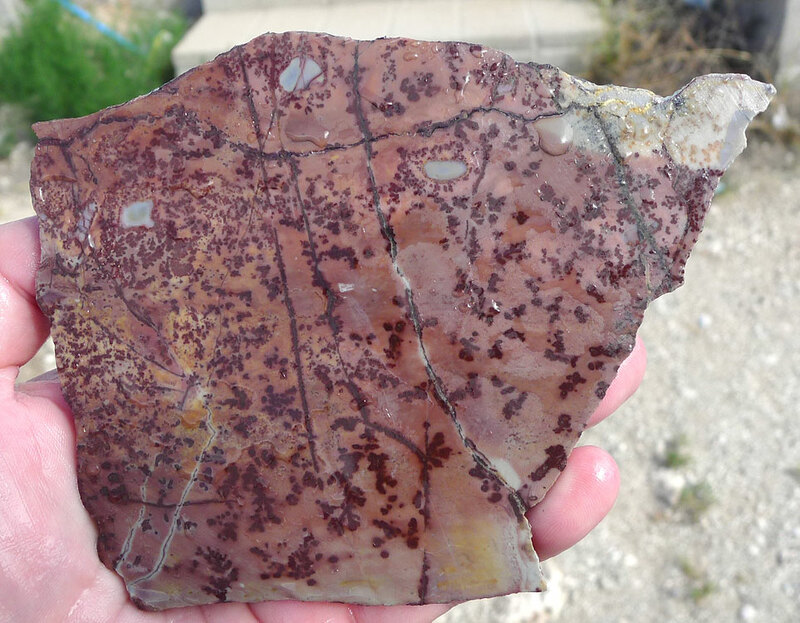 You will receive the EXACT Pink Jasper with Dendrites Slice pictured. Weight: 5.38 oz. - 152.52 gr. 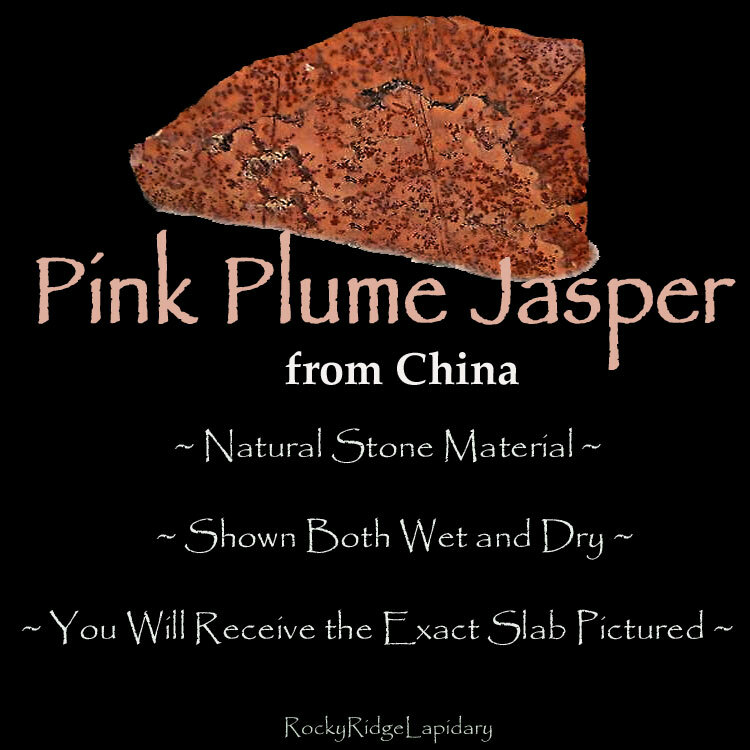 - 762.60 ct.
Plume Jasper gets its name from its beautiful plume like inclusions. Jaspers are members of the chalcedony family - a form of microcrystalline quartz. 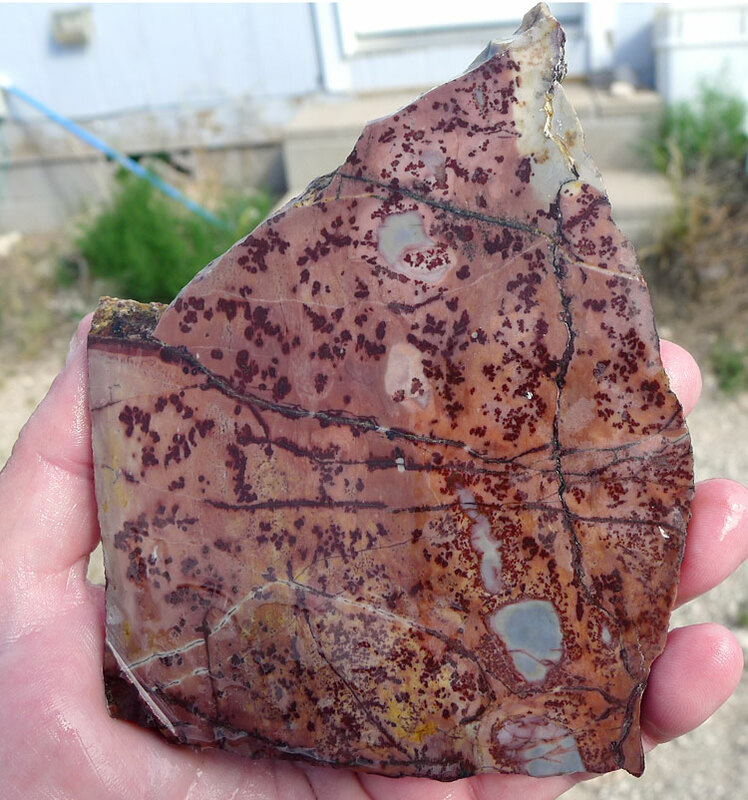 This unique form exhibits pink jasper, unique dendrite plumes and occasional slate blue blocks of brecciated jasper.